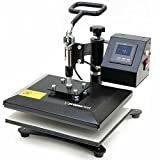 The LilSmasher rosin press is a high-quality pneumatic rosin press that was manufactured primarily for the high-volume production of high-grade cannabis concentrates. 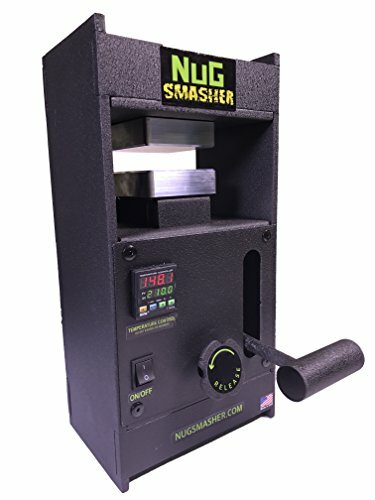 NugSmasher is a really famous maker of rosin presses based in the US. 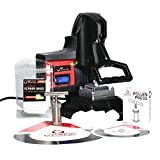 The company designed, constructed and tested this rosin press called the LilSmasher to make sure it comes with all the necessary features to obtain the best quality rosin for your needs easily and quickly. The LilSmasher is manufactured from the highest-quality parts and materials. 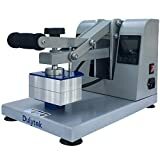 One of them is the T6-6061 high-grade steel-reinforced aluminum which is extremely resistant and durable, therefore providing the rosin press an extended lifespan. The T6-6061 is an aircraft grade aluminum fully CNC machined in-house. It’s used for the pressing plates and the control panel. The machine also comes with high-grade steel components. These materials used for manufacturing the LilSmasher enhance its durability over time so you will be able to enjoy it for as long as possible. The LilSmasher is not extremely heavy, and two people can easily move it to any location, so you can say that it’s relatively portable especially if you get some help from a friend. 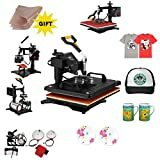 Fortunately, the LilSpasher rosin press is designed as a rosin press that is used in your house for personal use. It is built as a plug-and-play machine, and it comes already assembled. After you get the box, you won’t have to try hard to assemble the device because it’s ready to be used for pressing your cannabis materials. All you have to do is plug it in and adjust the pressure setting according to your needs before placing the cannabis between the top and bottom pressing plates. The LilSmasher comes with a dual element heating. This feature involves the fact that each one of the press plates includes its very own heating element that will heat it up for the best results. The LilSmasher rosin press comes with a digital thermometer and thermostat. You will be able to select the precise temperatures that you want to use when you extract the oil from your cannabis material. All you have to do is set the desired temperature, and the controllers will bring the plates to that specific heat and keep them at the same point throughout the pressing session. The LilSmahser can generate pressures of up to 6,500 pounds per square inch. The rosin press is able to squish all the cannabis oil from the material that you will be using. What’s even more amazing it’s that after you place the raw cannabis inside the parchment paper and you fold it and put it on the bottom press plate, the LilSmasher will be able to press all the oil out of the material within maximum one minute. So, it works extremely fast, and you won’t have to lose a lot of time with the whole pressing process. 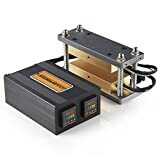 After using this rosin press for quite a while, I can definitely say that it’s excellent and it gets the job done flawlessly. It’s great that it comes already assembled and that I didn’t have to waste time trying to put it together because I’m not really good at assembling devices and I was interested in getting the job done as soon and as smooth as possible. The whole machine is extremely solidly built, and the heat controller holds the temps very steady. One of my concerns was the fact that all the pumping might get old, but I realized that after releasing the plates just enough, I didn’t have to pump the whole way each time I used it. Anyway, the pump works really easy, and it took me little effort to fully compress it. It comes with all kinds of instructions for both the basic operation department and the heat controller. It took me some time to understand how everything works and I inserted the handle the wrong way. But after reading the instructions carefully, I managed to get back on track with the LilSmasher. Customer service is also excellent because of course I called them a couple of times while trying to sort out a few things and they were extremely helpful. 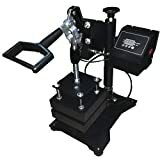 The rosin press is also assembled here in the US, so it won’t be so difficult to get it fixed in case there are some issues with the machine along the way. Until now, I didn’t have any problems related to the LilSmasher’s performance. The LilSmasher is effortless to use. The dual element heating helps the pressing process to get the best results. The machine is manufactured with high-quality elements and materials for increased durability and a long lifespan. The heat controller will be able to hold the temps very steady. LilSmasher comes with the perfect pressure to plate size ratio. Operating this machine is effortless, and the instructions that are included will turn out very helpful. The LilSmasher is limited to only 6,500 PSI, but considering that it’s targeted at in-house personal use, this pressure will turn out to be sufficient for all your needs and even for larger volumes of high-grade cannabis concentrates. The LilSmasher comes with a life-long guarantee and the manufacturer, NugSmasher, assists its clients with any questions or issues during the regular business hours. NugSmasher offers 100% coverage for life for all its products. The LilSmasher features 12 tons of pressure and 3.5 x 4-inches pressing plates made out of solid steel with dual heating elements, accurate temperature control, circuit protection, fast retract plate release, and a manual pump arm as well. It provides all the necessary features for obtaining the best rosin. This smaller system is a very straightforward extractor and well suited for the average home user.